He holds the record for most rebounds in a single NBA game? He is a member of the Volleyball Hall of Fame? He played for the Harlem Globetrotters before joining the NBA? Wilt Chamberlain is perhaps best known as the only player in the history of the NBA to score 100 points in a single basketball game. But Chamberlain's success extends to more than a single game. In college, he led the Kansas Jayhawks to the NCAA title game and later he played with two NBA championship-winning teams. 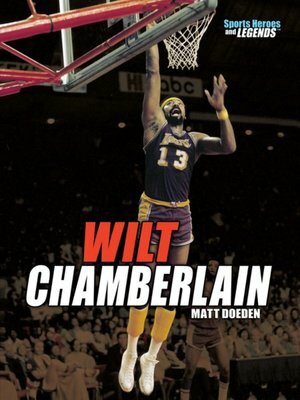 In addition to being a major force in basketball, Chamberlain loved volleyball and track and field, and he even appeared in a Hollywood movie. Learn more about the man who dominated his sport like no other in this lively biography.